Losing your trade secrets to a competitor could have disastrous consequences to your business. So, it is essential to do everything you can to protect your trade secrets from theft and misappropriation. Fortunately, there are laws in Wisconsin, and at the federal level, that protect companies from trade secret theft. Wisconsin law follows trade secret protection guidelines set forth in the Uniform Trade Secret Act (UTSA). At the federal level, there are legal protections that provide companies a framework to guard against theft and espionage. In 2016, tougher federal laws were enacted to protect businesses from theft and misappropriation. This blog piece provides an overview of those trade secret protections. Trade secrets are defined as information that is known only within a company by its employees, contractors, and vendors. Trade secrets can include formulas and processes; software and hardware; engineering designs; manufacturing techniques; research; engineering notebooks; meeting notes; and even results of testing that demonstrated a process did not work. Internal documents are also considered trade secrets. These can include cost and pricing information, client lists, financial information, hiring plans, sales forecasts, and market analysis. In almost all cases a trade secret must have a certain value to a firm that competitors would have to make an effort to replicate. 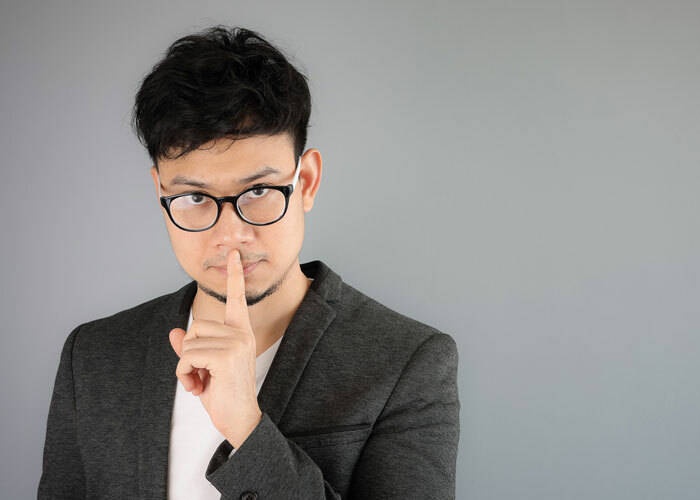 In order to be considered a trade secret, management of the firm must also communicate to its employees, contractors, and vendors that such information is confidential. Reasonable efforts have to be applied to its protections. Non-disclosure agreements are an example of such efforts. In 1985, Wisconsin passed its own Uniform Trade Secrets Act (UTSA). The state is very clear about the concept “misappropriation” in reference to the theft of trade secrets. Misappropriation includes knowing – or even having reason to know – that a trade secret was improperly obtained. Obtaining information improperly can mean anything from outright theft to inducing someone by bribe, or other means, to breach an agreement of secrecy. Trade secret disclosures without consent or approval are also considered improper means. It is important to note that, under Wisconsin law, a company could be held legally liable if it had “reason to know” that certain information was a trade secret. This means that a company or person can be sued just by the fact it should know that it held misappropriated information. Wisconsin law also considers acquiring information by “accident or mistake” a misappropriation of trade secrets. This has serious consequences for a company that hires an employee from a competitor. Wisconsin courts can issue injunctions to prevent trade secret disclosure. The courts also award financial compensation and punitive damages associated with unjust enrichment associated with loss of profits associated with the trade secret misappropriation. Keep in mind that there is a three year statute of limitations. Once a company knows of a trade secret misappropriation, it has three years to start legal action. Over the years, the federal government has beefed up enforcement of trade secrets. In 1996, the Economic Espionage Act made it a federal crime to steal trade secrets, with fines up to $5 million and a possible prison term up to 15 years. In 2016, the Defend Trade Secrets Act (DTSA) was signed into law. Among its provisions, DTSA gives significant latitude to law enforcement agencies, allowing them to seize stolen trade secrets without advance warning to the alleged thief. DTSA is the first time that private parties can bring legal action to a federal court if it relates to use in international or interstate commerce. We believe that DTSA will result in more enforcement and greater protection for company trade secrets. To see how easy it is to transfer trade secret information, look no further than the lawsuit filed by Google parent company Alphabet against Uber Technologies. In this high profile case, Waymo, the self-driving subsidiary of Alphabet, alleges that Uber knowingly misappropriated trade secrets from Waymo’s former employee, Anthony Levandowski. Alphabet also alleges Levandowski illegally downloaded trade secrets prior to leaving Waymo which he later shared with Uber. This case points to two issues: trade secrets can have value that is equal to, or even greater than a patent portfolio. Mobile devices and multiple platforms make it difficult to keep trade secrets safely secured on company servers. And, with the self-driving vehicle market valued at billions of dollars, Waymo and Uber know the stakes are huge. There are important steps your company can take to ensure maximum protection of your trade secrets. Please contact us to discuss how we can assist you in this highly strategic area of your business.